Tofu Tofu Jelly, jelly - snacks and starters for all your help. Appetite is not difficult, it is important to do your own home is not difficult at all. It also looks like a good sign. Perfect for a party at my house. 1. Mix mirin, Sake, soy sauce, in the stock soup. Heat them and leave it cool until warm. 2. 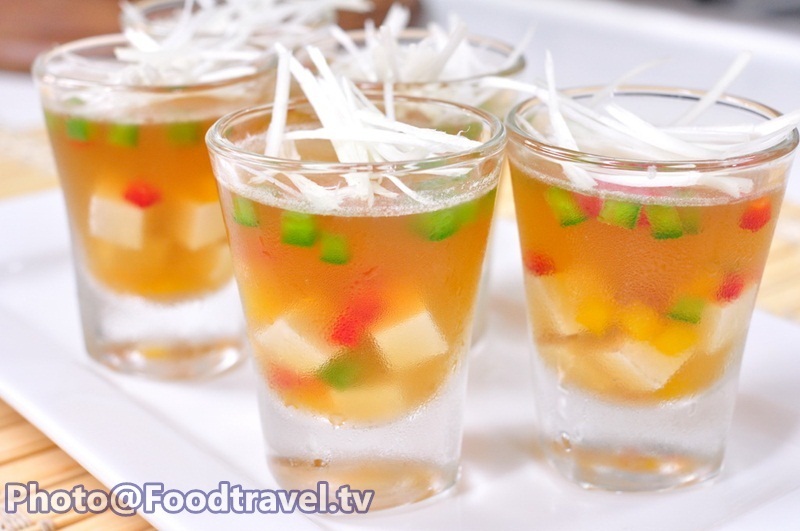 Arrange tofu, dice bell peppers in the shot glass beautifully. 3. When stock soup is warm, add gelatin and squeeze out the water. Mix into the stock soup and stir well until dissolve. Do this one by one sheet. 4. 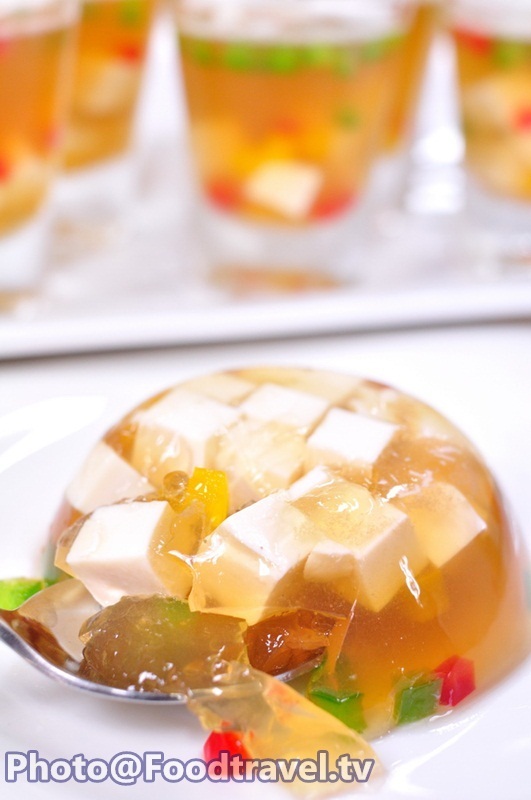 When gelatin melt well, pour into the glass that you decorate with tofu and bell peppers before. Then put in the refrigerator for 2 hours and ready to serve. Do not put in the freezer, because it becomes to ice, not jelly.